Jet2 is a budget airline in the UK. It operates flights from nine UK airports to more than fifty destinations in Europe and the Mediterranean. They base their brand on “friendly low-cost fares” and they have even won several awards for their services. You can book one-way or return flights online at jet2.com or by calling Jet2 on the phone number above. Since it is a cheap airline, all Jet2 flights are non-refundable. However, you can follow the information in this guide to make amendments to a Jet2 flight booking. Some options are free but some involve paying extra charges. 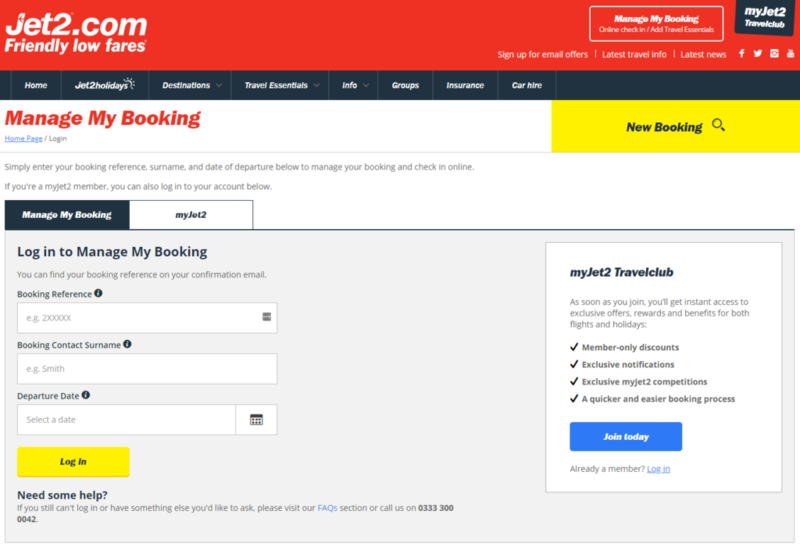 After you make a booking with Jet2, you can log in on the website to manage it. This “Manage My Booking” area of your account allows you to do lots of things. This list includes selecting your seats, adding checked baggage, pre-ordering meals, and checking in for your flights online. You can also change the details of your booking if possible. You can add extras to your booking, including travel insurance, at any time. To add something to your booking, you will only have to pay for the cost of the product. Jet2 allows customers to add hot meals for their flights up to 48 hours before they depart. Once you check in online, you will not be able to make any further adjustments to your flight booking. You will need to select your seats before you do this and pay if you decide to change your selection. Up until you check in, you may be able to change your flight booking, subject to amendment charges and covering any differences in price. You will not be able to change your departure or destination point, however. In general, all bookings are non-refundable and non-transferable, but Jet2 may allow name changes or even date changes. You can make such changes up to 5 hours before the flight departure time. It can be done online, over the phone, or in person at the sales desk at the airport. 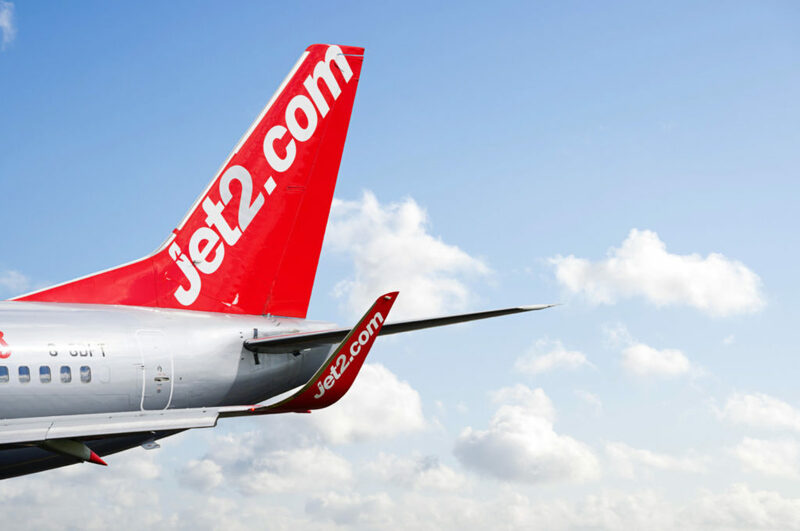 If the name change request is the result of a spelling error, Jet2 will change up to 3 characters for free. Other than that, changes will incur an administration fee of £35 per person per flight. If you change the flight time or date, you must also pay the difference between the cost of the tickets. You will not get a refund if the new ticket costs less than the original, though. Making changes can affect discounts or promotions. Jet2 advises customers to take out the appropriate travel insurance for every passenger, including cancellation cover. This will usually protect you financially if you are not able to travel after all and need to cancel your booking due to unforeseen reasons. In cases like this, Jet2 will provide a statement of non-travel for each passenger free of charge. If you do need to cancel, you may be able to lose less money by changing the name on a booking instead. Otherwise, flight bookings are non-refundable, so you will not get the money back if you do not have insurance to cover it. The only refund that you would be able to claim is the Air Passenger Duty tax if you do not travel. However, Jet2 will deduct an administration fee of £25 if you apply for this. If you make a mistake at the time of booking and contact Jet2 to cancel within 24 hours, they may offer a discretionary refund. Even if they do agree to give a refund, they will deduct an administration fee of £40. You will then have to make the correct booking at the current prices. The fastest way to get help with a Jet2 booking is to contact their call centre. There is also a cap on amendment fees when you make changes to bookings over the phone, which doesn’t apply for changes you make by yourself online. Call 0843 178 4044 and press 3 to make changes to an existing booking. You can press 1 to add meals or extras, press 2 to make changes, or press 3 to cancel. You will need your booking reference number. They will only allow you to make changes if you are the lead booker. You must be content to provide debit or credit card details over the phone and be ready to pay any fees and additional costs immediately. Any urgent pre-departure enquiries should be made over the phone. You can e-mail non-urgent enquiries to contactcentre@jet2.com. It may be several days before you receive a response. It can take 28 days to get a reply if you contact Jet2 by post. If you do decide to write a letter, their postal address for customers is Jet2.com, Customer Care Team, PO Box 284, Leeds, LS11 1GE.